Keith Cobell has over 20 years of experience in leading a diverse range of social good organizations, philanthropic institutions, social enterprises, and most recently Adventum Impact – a design-build firm for social impact. Throughout his career, Keith has been involved in catalyzing the power of passion, resilience, and faith to change the world for the better. A graduate of Westmont College in Santa Barbara, California, Keith went on to earn a Master of Arts in Theology at Fuller Theological Seminary in Pasadena, California, performed doctorate-level research on the topic of global philanthropy at the University of Wales/OCMS in Oxford, England, and attended the Executive Program for Social Enterprise at the Stanford Graduate School of Business. He lives with his amazing wife and daughters in Oakland, California. Ayla is currently a graduate student at Stanford Graduate School of Business. As Resonate's former CEO and Co-Founder, Ayla was responsible for leading strategy, partnerships, program expansion, and curriculum innovation. She has a background in community organizing where she worked on leadership development and coaching with staff, volunteers, and community members. Along with her co-founder, she adapted proven community organizing tools to be used to unlock leadership potential among disadvantaged women in East Africa. Prior to starting Resonate she was a Field Organizer and Program Manager at Groundswell in Washington, DC, where she led and managed the launch of a city-wide energy efficiency and financing program for low-income residents. She has also worked as a strategic communications consultant and specialized in stakeholder engagement and facilitation. She brings these skills to her work at Resonate, leveraging the influential power of communication for positive change. Ayla was a Mary Maples Dunn scholar at Smith College, where she graduated with honors with a B.A. in Political Science and a minor in Spanish Language. Ayla was awarded the 2014 Brimstone Award for Applied Storytelling for her work with Resonate and was named one of Conscious Company Magazine’s 17 Rising Social Entrepreneurs. She is a 2015 Unreasonable Institute Global Fellow, a 2016 recipient of the Cordes Fellowship, and represents Resonate as part of the 2017 GSBI Accelerator Program and the 2017 cohort of the SPRING Accelerator. Ayla serves as an International Grant Advisor for The Pollination Project, and as a member of the Global Advisory Board for the Women’s Global Leadership Initiative. Priya is a finance professional in New York City, currently working at PIMCO in Client Management and previously worked at UBS Investment Bank in Currency & Commodities Sales & Trading. She graduated with an MBA from the MIT Sloan School of Management in 2016, and has a BS in Finance from Carnegie Mellon University and the London School of Economics. Outside of her career in finance, Priya has long been passionate about social impact and helping those in need. She has been involved in her family’s non-profit school for low income children in India since 2006 and has enjoyed mentoring young girls through the Big Brother Big Sister program and Riverside Community Center in NYC since 2011. She has a background in sales, presentations, and mentoring and is passionate about leveraging storytelling and confidence to have real social impact. Katie has over seven years experience working in East African development and nine years of experience in non-profit management. She completed her BA at Wellesley College in Peace and Justice Studies in 2009 and subsequently completed a MA in Sustainable International Development at Brandeis University’s Heller School for Social Policy and Management, where she focused on monitoring, evaluation, and youth programming. She has focused her career on creating innovative and balanced systems of measuring behavior and attitudinal change surrounding issues of vulnerable children, education, and social change. She has worked with a number of innovative grassroots organizations in East Africa, and believes strongly in the power of local solutions. 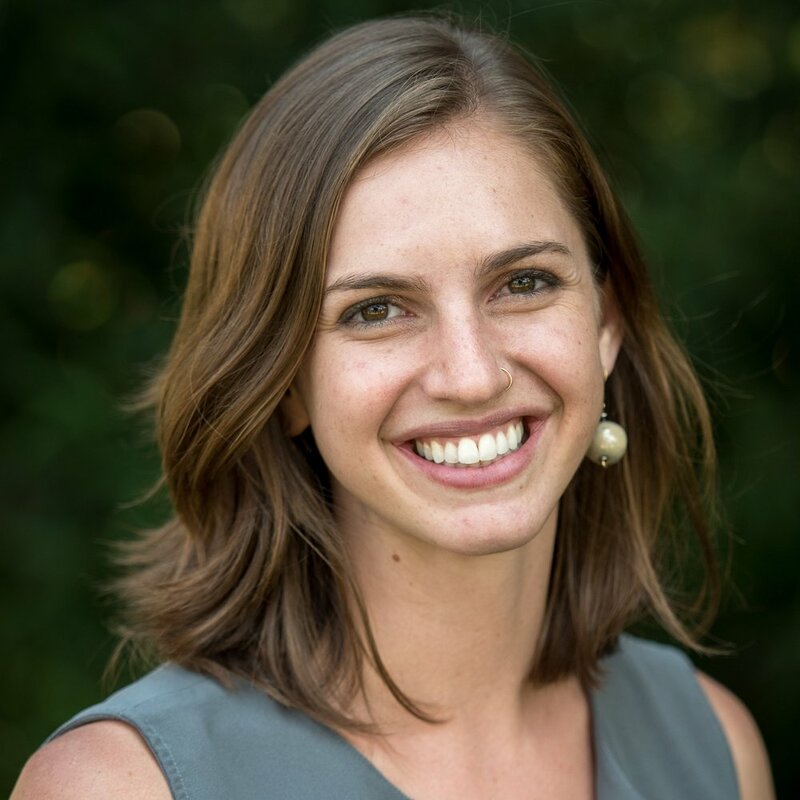 Katie currently works as the Director of Partnerships at the Segal Family Foundation, a progressive family foundation that supports exemplary grassroots organizations across East Africa, including Resonate.